So a lot of indie albums have been released this week and a good portion happen to be from some of the greatest producers around. 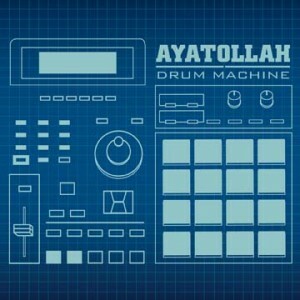 Ayatollah, just so happened to have digitally released his latest [5th] album “Drum Machine”. I just turned on my equipment and hours later I had and album. I called it “drum machine” because its one of the core pieces of equipment in hip hop music and has been so ever since hip hop began. its kind of my “tribute” to the entire hip hop legacy.